Warrior Legend Manga Universe: Update on WL Chapter 3/ Release date!! Update on WL Chapter 3/ Release date!! Hi readers, sorry for being away recently. It's always hard to produce something good, but it's even harder to hold the promises for the release dates it seems, hehe! A little time back I said that I wanted to release all of Chapter III with short intervals before new year, it started off well with art 1 and 2, and then came X-mas and a lot of work in my primary job and took all my time and energy away for the project to be finished in time. Now I have been working as hard as I can to make the final part finish, it's been quite a challenge due to a new character and detailed drawings. 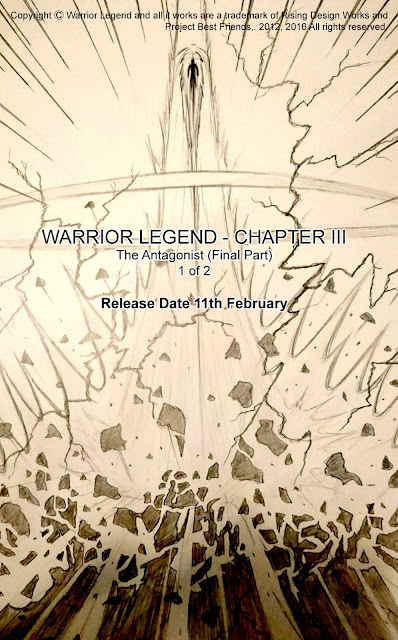 The release for part 3 of Chapter III will come out on 11th of February (next thursday). Hope your looking forward to it, I sure am, here is a taste of the first page!